Williamsburg is a very trendy area in Brooklyn that both attracts the younger crowd as well families, as it has a lot to offer to both groups. The area is trendy because it can offer its residents a lot of trendy restaurants and a hip nightlife but also good shopping options. It is also popular because of its parks, its waterfront and Manhattan views, and the many dog runs. Overall, Williamsburg is a great place to settle down. 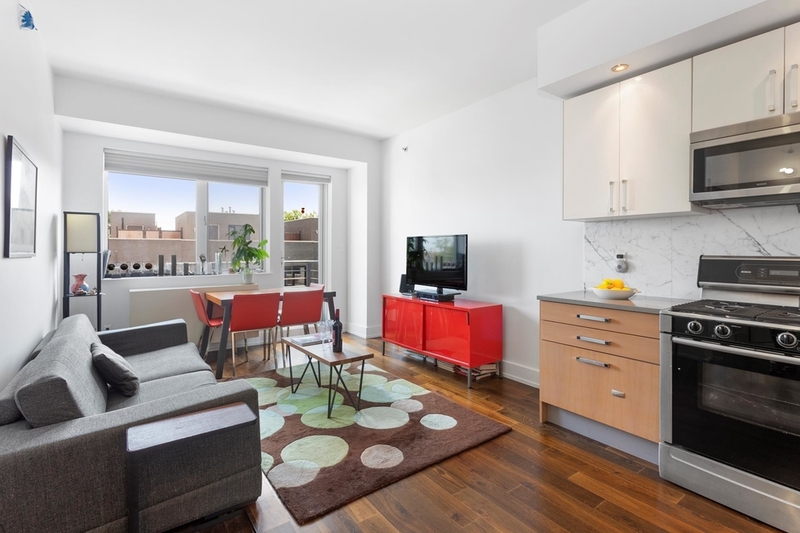 Here are 10 great apartments for under $700,000 right now. 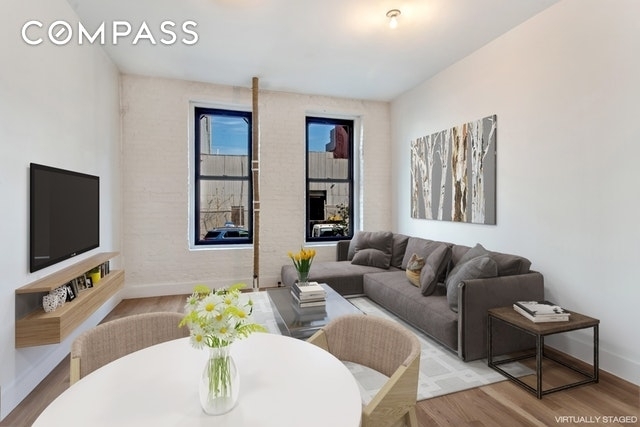 This 2 bedroom, 1 bath co-op apartment in Williamsburg is quite the deal. The apartment has a bright open plan layout with 9’5” ceilings, exposed white brick, hardwood floors, and a marble bathroom. For only $475,000 this is quite the steal in this prime location, with McCarren Park located close by. If you’re looking for something that’s a tad bit smaller, and also a little bit cheaper, what about this 1 bedroom, 1 bath apartment located in the same building as the apartment listed before? 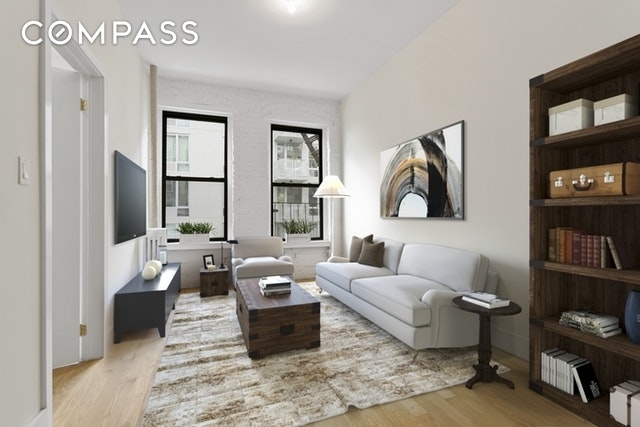 This apartment is also newly renovated with high ceilings, exposed brick, and much more, for only $375,000! 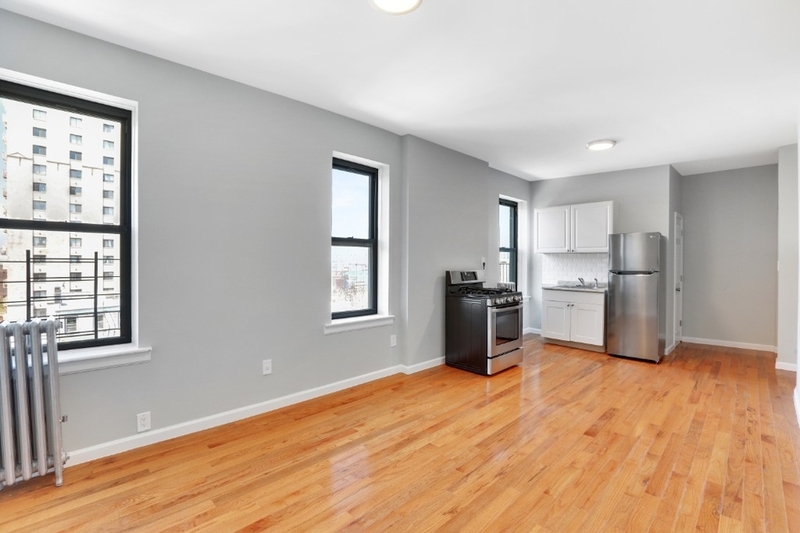 Another great option is this 1 bedroom apartment in South Williamsburg. This apartment also comes with a bright and open concept for the layout and is located in a pre-war building, for those who prefer pre-war buildings. 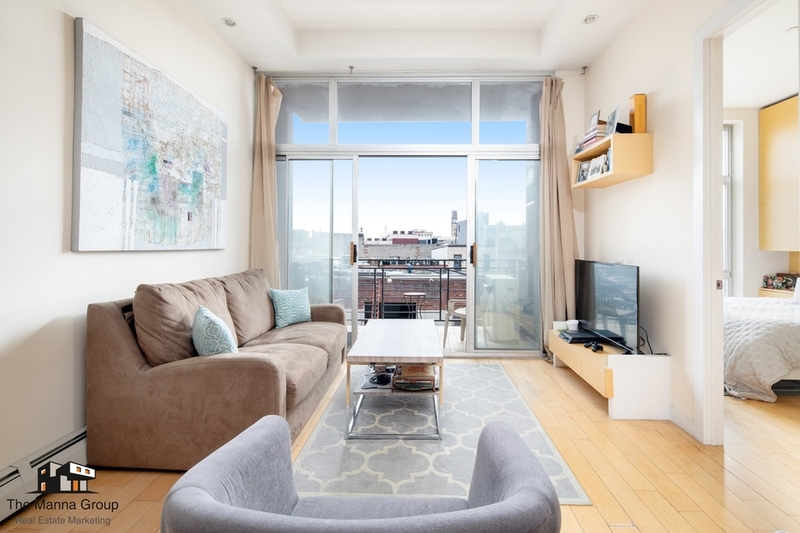 Where the building is located, you also get to enjoy the views of the city skyline and you can also take a short walk to the Williamsburg waterfront! 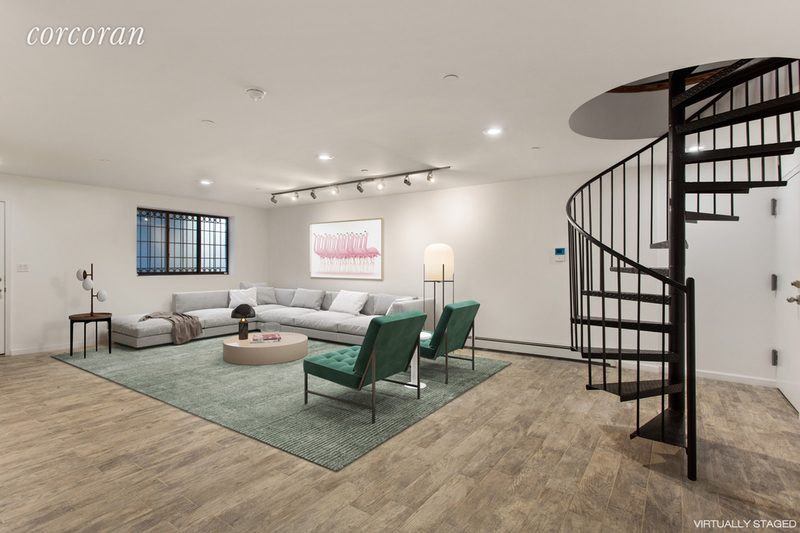 This gorgeous studio apartment is located in a boutique condo building built in 2005 in trendy Williamsburg. For it being a studio, the layout of the studio apartment makes the place look pretty big. For those who like to cook, the apartment comes with a huge kitchen, making entertaining a dinner party an easy task. If you’re looking for something that screams luxury, this studio apartment does exactly that. The place is presented with a smart layout, with an alcove for the bed that helps separate the living room space and the sleeping space. There is an open kitchen with sleek concrete countertops, and the building comes with a part-time doorman, a gym, a terrace garden, and parking. Another 1 bedroom apartment that makes the list is this great place for only $699,000. Located in a building built in 2009, the building and the apartment is pretty new. The apartment itself is spacious and bright with its oversized windows and its L shaped kitchen. The building is a 10-story condo elevator building with a gym, communal roof deck, and a furnished patio. This apartment is located in East Williamsburg and one word that would describe it is perfection. 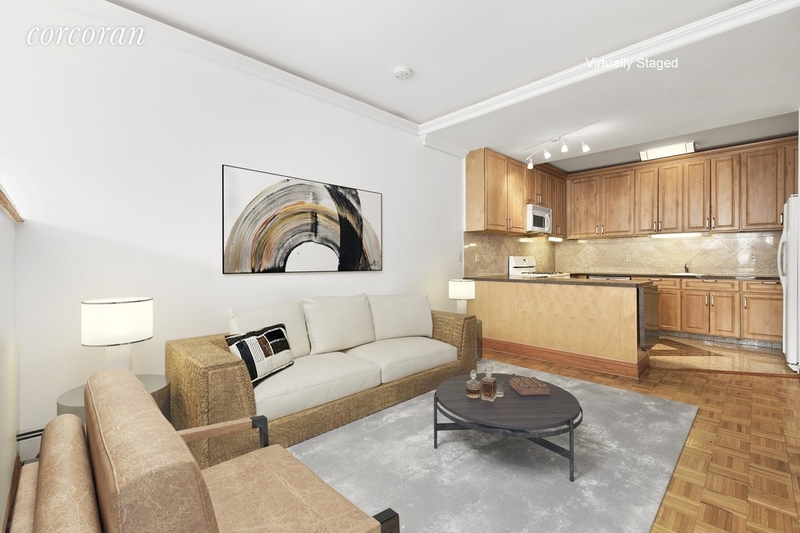 For only $649,000 you can get this 1 bedroom apartment with a 75 square foot balcony, a common furnished roof deck, floor-to-ceiling windows, a spa-like bathroom and so much more. It is definitely one worth checking out. Always wanted a private rooftop cabana facing the Manhattan Skyline to come along with the price of your next apartment? Well, this one does! 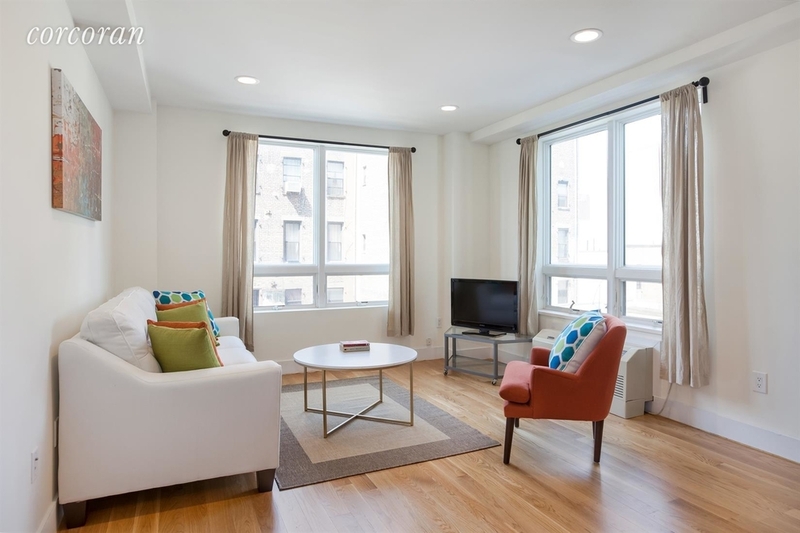 This southern facing 1 bedroom apartment is completely renovated with a sleek, modern design. The building itself comes with, other than the rooftop cabana, an indoor pool, a 24 hour doorman, a gym, and so much more. 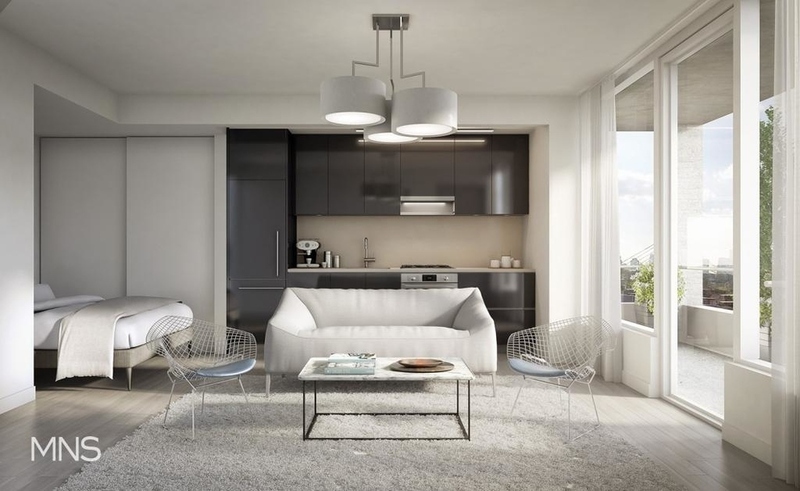 This is a new condo in a brand new condominium development in East Williamsburg. 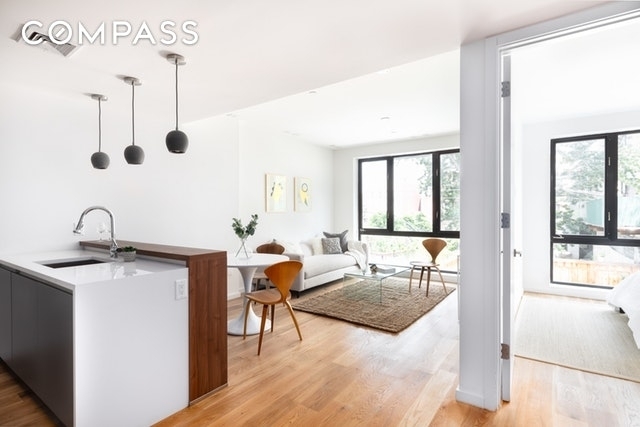 For $699,000 you can get this modern condo that is located just three blocks from Cooper Park and only three blocks away from the subway. The apartment itself is spread out over 624 square feet and is spacious, sun-filled, with oversized windows and a Manhattan view from the higher floors. Located in a building built in 2006, this beautiful 1 bedroom apartment is also one with a very smart layout with two levels combined by a spiral staircase! Since the upper level is set with a kitchen, a living room and dining room area would be good for this level as well the bedroom. The lower level can be whatever you want it to be.